Written by Charles Soule. Art and Cover by Michael Del Mundo. LIFE OF X CONCLUSION! We are trapped in the SHADOW KING's web. All strands have led here. We have seen sacrifice, battle, manipulation, lies and the darkest truths. 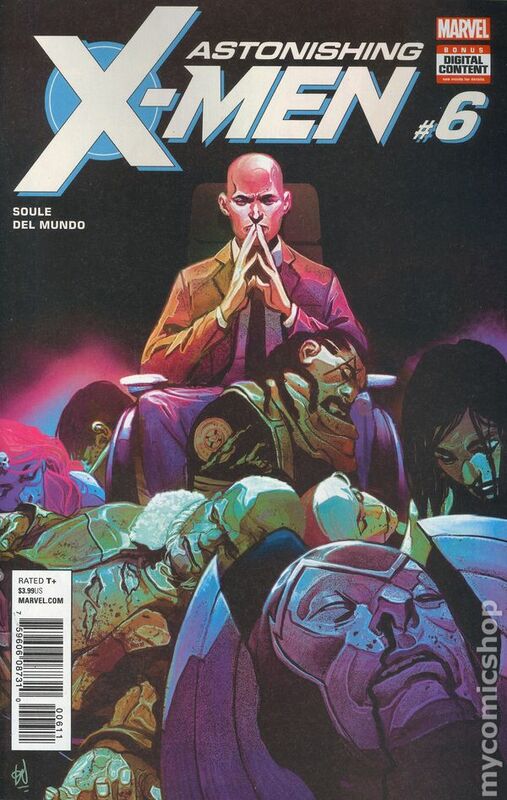 Now, at last, CHARLES XAVIER and his X-Men will save one world and lose another. 28 pages, full color, Rated T+ Cover price $3.99. Volume 6 - 1st printing. "Exogenetic!" 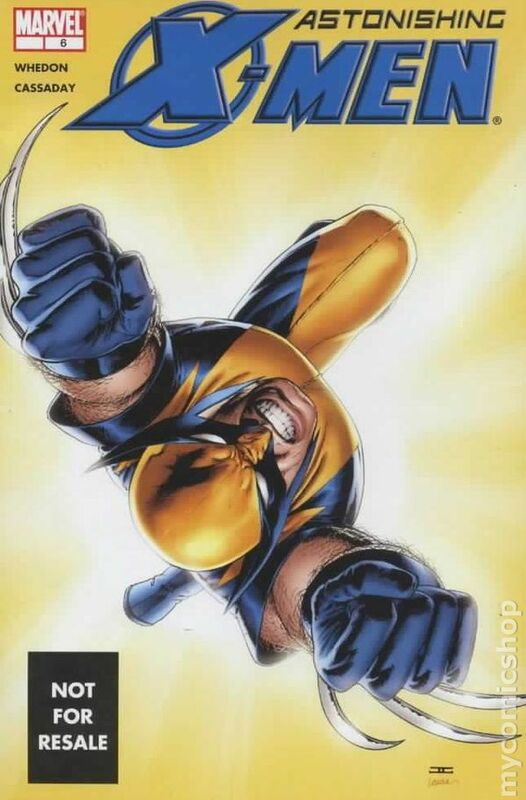 Collects Astonishing X-Men (2004-2013 3rd Series) #31-35 and material from Astonishing X-Men/Amazing Spider-Man: The Gauntlet Sketchbook (2009). Written by WARREN ELLIS. Art and cover by PHIL JIMENEZ. When the director of an intergalactic defense organization crashes into the Earth's atmosphere, the Astonishing X-Men spring into action. 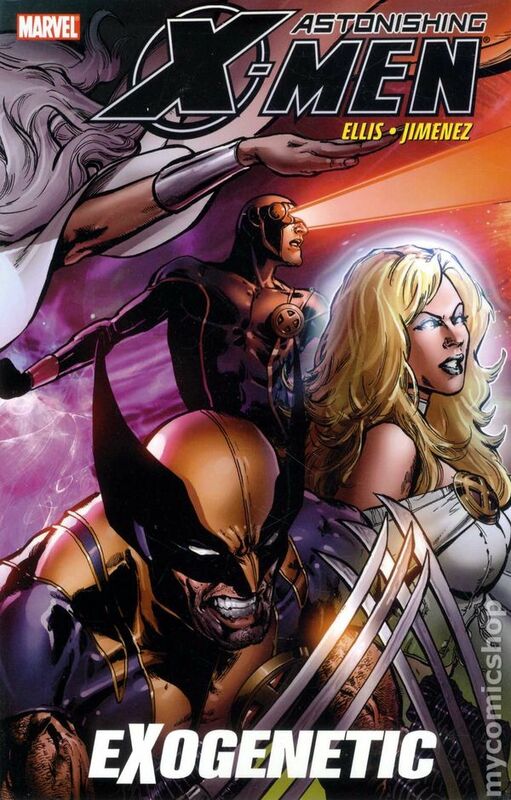 But while regrouping following their rescue mission, the team is confronted by a former ally who quickly transforms into a mutant-hunting Sentinel, one of the X-Men's most reviled foes and a symbol of their persecution. The X-Men must fight back against this new, flesh-and-bone version of the Sentinels, while also figuring out how one of their own was turned against them. What's more, the team finds itself face-to-face with the monstrous aliens known as the Brood. What is the connection between these attacks? 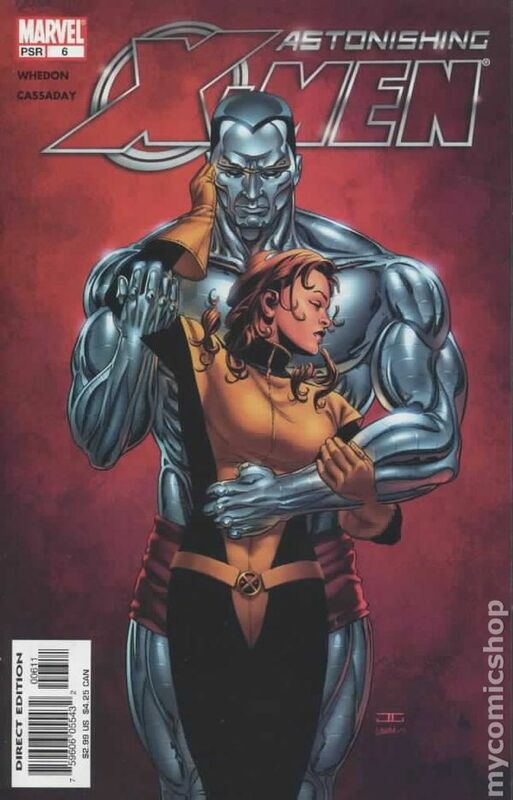 And will it prove too much from the X-Men to handle?